The 82-year-old Alda, a Golden Globe- and Emmy-winner, will become the 55th recipient of the annual award given to an actor who fosters the "finest ideals of the acting profession." One of America's sweethearts hands the torch to another when Tom Hanks presents Alan Alda with a lifetime achievement award at the upcoming Screen Actors Guild Award ceremony. The 82-year-old Alda, a Golden Globe- and Emmy-winner, will become the 55th recipient of the annual award given to an actor who fosters the "finest ideals of the acting profession." Hanks will hand it to him in a Jan. 27 ceremony. "I'm so thrilled that Tom agreed to that. I had no idea they were even asking him. 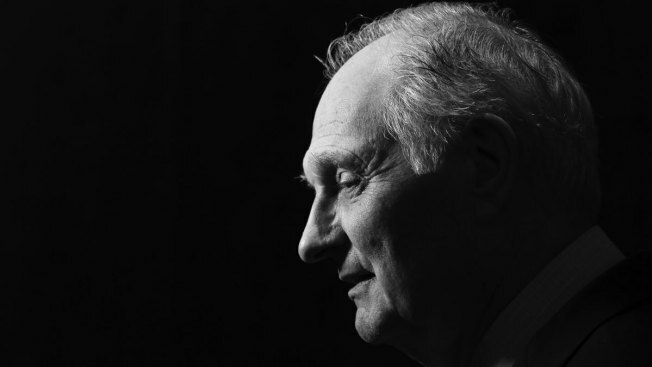 And it's so generous of him," Alda told The Associated Press. Alda and Hanks worked together on the film "Bridge of Spies," and Alda said they "have run into each other casually over the years at awards ceremonies and on airplanes and things like that. So, I remember him when he was just a kid." Throughout a career that has spanned seven decades, Alda has appeared in "The West Wing," ''The Aviator" and "Manhattan Murder History," but is perhaps best known for his role as Hawkeye Pierce in the television series ""M.A.S.H" Alda has won six Emmy Awards and was also nominated for an Oscar for Best Supporting Actor in 2004 for his role in "The Aviator." Alda has also been involved in numerous charities and organizations that have supported children's causes, women's issues and the sciences. The latter inspired the formation of the Alan Alda Center for Communicating Science at Stony Brook University in New York. That combined with his affable personality has earned Alda his "nice guy" reputation over the years. He jokes that the "niceness" compensates for a profession that is not always viewed kindly. "It's a counterbalance, I guess, to the rowdy reputation that a lot of actors have had over the last couple of hundred years, including the guy who shot Lincoln. So it's good to balance the reputations of the acting profession," Alda said.